“By faith he (Abraham) sojourned in the land of promise, as in a strange country, dwelling in tabernacles with Isaac and Jacob, the heirs with him of the same promise” (Heb 11:9). By faith Abraham lived in tents. In the Old Testament, living in tents was a sign of living by faith. Abraham’s children and his grandchildren too were taught to live in tents i.e. they were taught a faith life. Hence, after Abraham’s death, his children and grandchildren followed his good example and lived in tents. We must live by faith and also teach our children and grandchildren to trust God for their needs whether physical, spiritual or otherwise. Sad to say, some modern Abraham’s children and Abraham’s grandchildren have become Lots and lost their tent life or faith life. And trust in His unfailing Word. 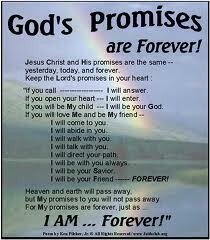 “Sojourned in the land of promise” – Promises of God are like Canaan, flowing with milk and honey. 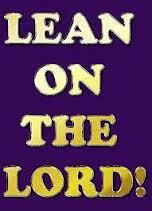 Let us daily live by and lean on God’s promises. Faith helps us to see this world as a strange land and heaven as our homeland.